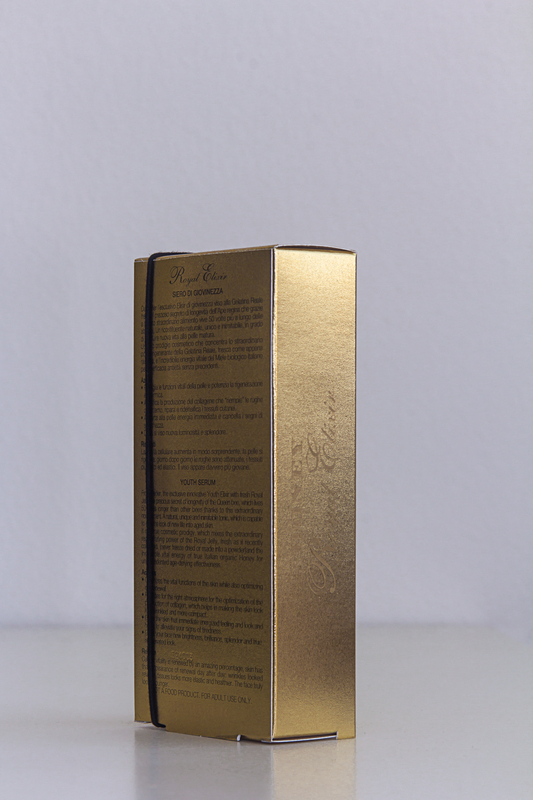 Perlier Honey Miel Royal Elixir Facial Serum Review, And Pictures! Listen up! I’ve teamed up with the great people over at HSN again to bring you an amazing product. I’m really excited to bring you this review today because lately I’ve been on a huge anti-aging binge. I don’t know if I’m going through a mid-life crisis or what, but I have been buying so much anti-aging products I’m afraid my face will start looking frozen in time :). As I’m getting older, the thought of wrinkles and lines on my face is starting to cross my mind. Yes, I’m only 26 but it’s never too early to immerse yourself in anti-aging products. So when this great opportunity came to me I knew it was a match made in heaven. *Disclosure* This product was sent to me by HSN, other than the product was I not compensated in any form. 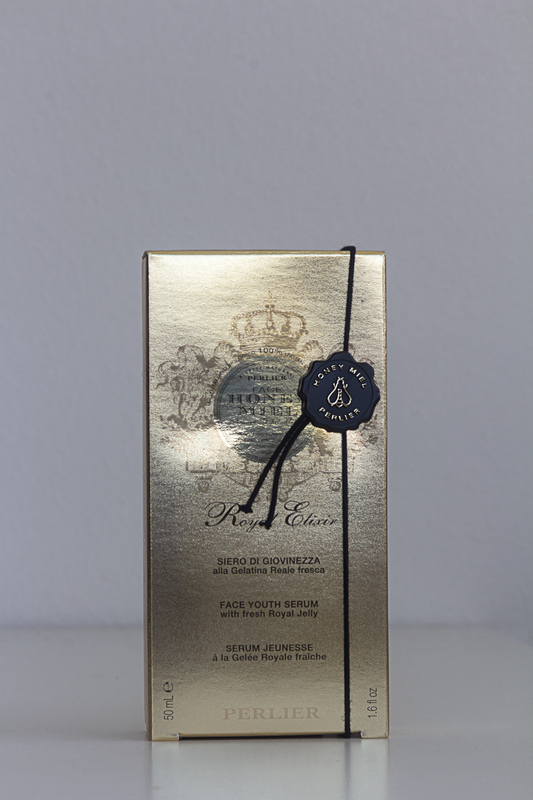 From Perlier, the exclusive innovative Youth Elixir with fresh Royal Jelly, the precious secret of longevity of the Queen bee, which lives 50 times longer than the other bees thanks to this extraordinary nourishment. 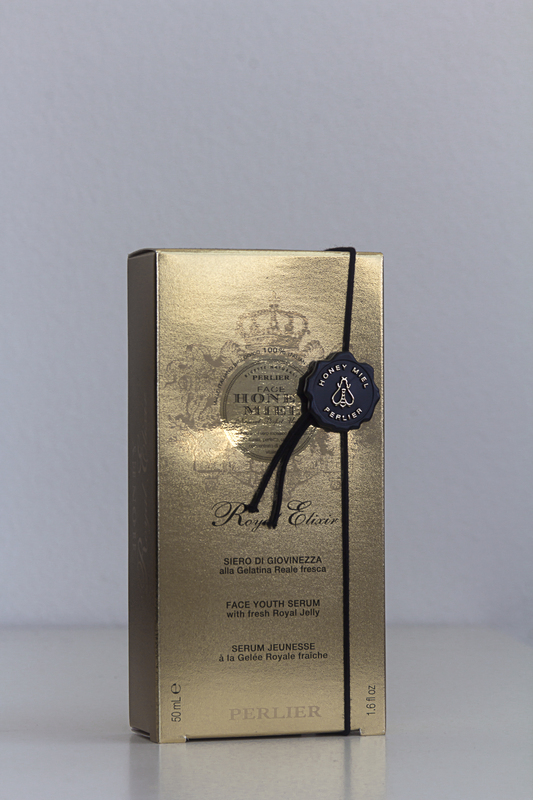 A natural, unique and inimitable tonic, which is capable to give the look of new life into aged skin. It is a true cosmetic prodigy, which mixes the extraordinary regenerating power of Royal Jelly, fresh as if recently collected, (never freeze-dried or made into a powder) and the incredible vital energy of true Italian organic Honey for unprecedented age-defying effectiveness. As soon As I took the product out of the box I instantly felt royal, the packaging on this product is beautiful! I love the gold details; it’s so striking that I decided that it needs to sit out in plain view and not be hidden away under the bathroom cabinet. As soon as the product touched my skin I was overcome with the sweet smell of roses, literally! The reason why this product carries such a soft smell is because Perlier has replaced water with rose distillate, which provides toning and moisturizing properties [How amazing is that?!]. What I loved about the serum is that it is very light weight. It did not have a greasy feel to it at all nor did it feel sticky like most serums. Once applied to my whole face it immediately felt soft and even looked vibrant. 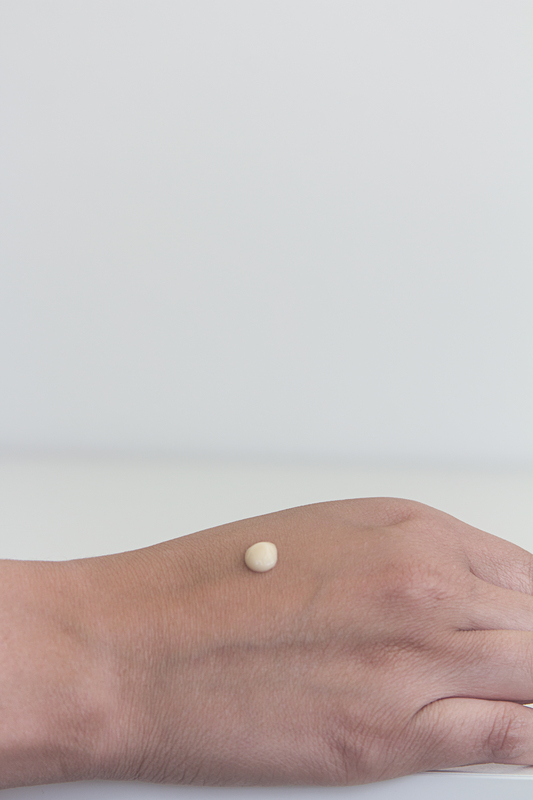 That’s because this product has a light shimmer to it due to the micro-pearls with golden reflections. I don’t have an issue with it, and to those who do not like shimmer it’s so faint that’s it’s barely noticeable. Here is what the product look like when it’s placed on the skin. It’s a yellow color due to the honey. I wish you could smell how amazing it is! And here I am rubbing the product to my hand, look how smooth and silky that is. The product truly has a velvety texture to it and glides on your skin so easily. I can say I’m truly in love with this product. I have been using it for two weeks now and my skin looks great. I have come to a routine of using Honey Miel at night right after cleansing, and right before I put on my moisturizer. I even have skipped out on moisturizer some nights and just used the serum. This product optimizes the vital functions of the skin while optimizing cell renewal. Provides the right optimization to produce collagen, which helps in making the skin look less wrinkled and more compact. Gives the skin that immediate energized feeling and look and helps alleviate your signs of tiredness. It also gives your face new brightness, brilliance, splendor and a true rejuvenated look. Best of all The cellular vitality is renewed in your skin every day so that your skins appearance is renewed day after day. Leaving wrinkles relaxed. and your tissues more elastic and healthier. leaving your face looking younger. I want to say a big thank you to the people over at HSN for giving me the opportunity to work with you again. 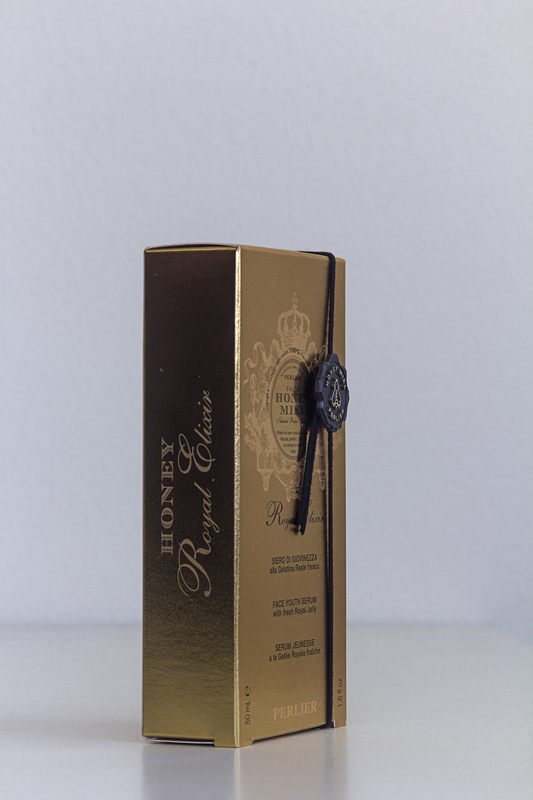 Will you be trying Perlier Honey Miel Royal Elixir Facial Serum? Let me know in the comments below! Judah Flo’s Fashion Show Event Cover!